Ranbaxy is Sun Pharma's 17th acquisition, and by far its biggest to date. What will it take for Sun's founder, Dilip Shanghvi, to turn the troubled major around? In the wee hours of April 7, news broke that Sun Pharmaceutical Industries Ltd would acquire Ranbaxy Laboratories Ltd for $3.2 billion, or roughly Rs 19,286 crore (the deal size is $4 billion if you factor in Ranbaxy's $800-million debt). The landmark deal makes Mumbai-based Sun Pharma not only the country's largest drug company, but also the world's fifth largest speciality generic drug maker with revenues of $4.3 billion. That is just half way, in terms of size, to the global generics leader Teva, the role model of generics companies worldwide. What set this all-stock, no-cash deal apart, at least financially, was this equation: Japanese pharma giant Daiichi Sankyo's 63.4 per cent stake in Ranbaxy was equated with a nine per cent stake in Sun. In 2008, Daiichi Sankyo took a big bet in generics when it bought into Ranbaxy, based in Gurgaon, near Delhi. Ranbaxy's market cap today is $3.2 billion. The deal has made Daiichi Sankyo the second largest shareholder in Sun. The man of the moment is Sun's founder, 59-year-old Dilip Shanghvi. The commerce graduate embarked on his entrepreneurial journey in 1983 with a small factory in Vapi, Gujarat, to make tablets and capsules, aided by a marketing team of just two people. To acquire Ranbaxy, instead of paying cash he leveraged Sun Pharma's market capitalisation. G.V. Prasad, Chairman and CEO of rival drug maker Dr Reddy's Labs, describes it as "a smart move", and adds that Sun Pharma now has a good presence not only in India but also in emerging market. He notes that "Ranbaxy is a low-cost acquisition, as its peak market cap was much higher" than it is now. He adds: "Sun has the ability to acquire distressed assets and turn them around," he says. "They have done this with Taro and Caraco." Sun acquired Israeli company Taro Pharmaceutical Industries for around $250 million in 2010. It gradually increased its stake up to 100 per cent in US-based Caraco Pharmaceutical Labs from 1997 to 2011, for a total value of around $ 260 million. In his April 7 conference call with analysts, just after the deal was announced, Sun's Shanghvi referred to his company's acquisitions since 1995/96, saying: "We acquired Taro in 2010, and from an EBITDA [earnings before interest, tax, depreciation and amortisation] of less than $100 million, we have in the last three years been able to reach an EBITDA of close to $400 million... with almost no change and the same people... by running the business with a clear focus and running it efficiently." But Ranbaxy will be no cakewalk. The value of the latest deal is more than all of Sun's 16 previous deals put together, and Ranbaxy's problems are serious. Daiichi Sankyo, which coughed up $4.6 billion for its stake in Ranbaxy in 2008, announced in January 2009 that it was making a $3.8-billion write-down. It was to record a valuation loss and a one-time write-down of goodwill on its investment in Ranbaxy for the quarter ended December 31, 2008. In a note on January 5, 2009, the Japanese company said: "On a non-consolidated basis, Daiichi Sankyo plans to record a non-cash valuation loss of 359.5 billion yen [more than Rs 21,210 crore today] on its shares in Ranbaxy in its fiscal third-quarter to reflect a more than 50 per cent decline in the market value of these securities versus the purchase price." To make things worse, it was around this time that problems with the US Food and Drug Adminis-tration (FDA) began. Ranbaxy was pulled up for several violations in good manufacturing practices. Its reputation took another severe hit on March 13, 2013, when the US Department of Justice announced that it had pleaded guilty and agreed to pay $500 million to resolve allegations of false claims, manufacturing violations, and false statements to the FDA. 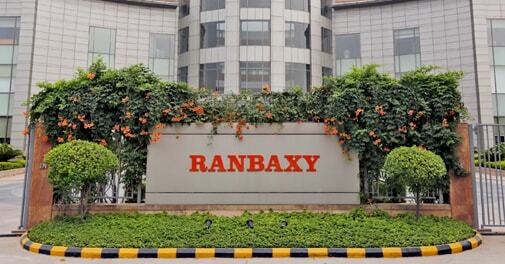 The US authority has placed four of Ranbaxy's key plants in India under an import ban that could last another year or two. Its EBITDA margins are now around 10 per cent, in an industry where most players' margins are 15 to 25 per cent, Sun Pharma's own is 40 per cent. Of course, Sun itself faces regulatory challenges: in March, the FDA imposed a ban on imports from its plant in Karkhadi, Gujarat. So Sun Pharma's challenge in the Ranbaxy deal is not just financial, but also one of regulatory compliance. Soon after the deal, Shanghvi said he acquired Ranbaxy because of the "overall business value" of the deal, rather than its "one-time costs" and losses incurred on hedging on the dollar. He says his decision was driven by the "underlying business in India and emerging markets, and its robust pipeline and profitability". Research analysts Anubhav Aggarwal and Chunky Shah at Credit Suisse, in a report published soon after the acquisition, point out that positives include a better geographical presence for Sun, a better over-the-counter portfolio in India and other countries, and a dermatology franchise in India (55 per cent of Ranbaxy sales). However, they also highlight negatives that Sun must watch carefully, such as high exposure to Western Europe and the high dependence of Ranbaxy's profits on Absorica (an acne treatment licensed from Canada-based Cipher Pharmaceuticals, which Ranbaxy has been marketing since 2012 in the US). They say Ranbaxy's product could lose its edge to increased competition in generics from March 2016. They also note that Ranbaxy's sales growth, margins and returns are lower than those of Sun, and that Sun's pay-back period on Ranbaxy is likely to exceed six years. Therefore, they note, Sun would have to wait longer before making any other acquisitions. 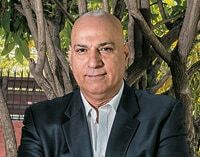 Sanjiv Kaul, Managing Director at ChrysCapital Investment Advisors, who worked at Ranbaxy before 2004 and knows the company well, says the deal is in the best interest of all three companies - Sun, Ranbaxy and Daiichi. Ranbaxy, he says, is "finally, at long last, getting direction and a strong leadership, which was missing for the last 10 years". Daiichi, he says, found the "face-saving exit" it was looking for. And Sun Pharma, he says, "has bought a good asset at an attractive valuation... the very fact that they have bought the asset at virtually half of what Daiichi paid eight years ago shows the strength of the bargaining power and diligent eyes of Dilip Shanghvi". So what can he do to salvage it? Conversations with analysts have underscored two broad concerns. One is how Sun will leverage Ranbaxy's pipeline of approved drugs (or those in the pipeline), given that a regulatory turnaround could take a couple of years. the second is how Sun, now a global company, will handle cultural issues. In his April 7 conference call with analysts, Shanghvi said that "global companies need to be able to manage different cultures and produce results... some basic human traits, which ultimately lead to performance are common [to all]... We have seen that everybody wants to be part of a successful team and is prepared to work hard to achieve that, if they are given proper direction, support and encouragement... this is no different with Ranbaxy". But there are larger issues at stake in this deal. ChrysCapital's Kaul says: "Ranbaxy has seen individual creativity and entrepreneurial culture change to a systems orientation under Daiichi, with its people caught between the two today." This, he says, makes it different from, say, Taro, where cultural differences were the result of geographical peculiarities (and which was also a much smaller acquisition). Then, he says, there are "management competencies that Daiichi itself was not able to address... Sun, for instance, will need to rationalise manpower at Ranbaxy, as Ranbaxy needs affirmative leadership now." Some in the industry joke that the best integration would be possible if Shanghvi could bring Sun's operational efficiencies to Ranbaxy, and Ranbaxy's pay scales to Sun. On a more serious note, it is a matter of concern how Sun will achieve cultural integration with Ranbaxy when many in the company draw lower salaries than their Ranbaxy counterparts. 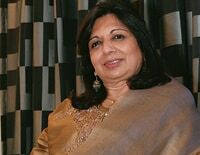 In her reaction to the deal, Kiran Mazumdar-Shaw, Chairman and Managing Director of Biocon, told Business Today: "It is an important development because it consolidates the pharma industry, and is a win-win for Daiichi and Sun. Sun enjoys a very strong reputational credibility and it gives the hope that they can actually start rebuilding Ranbaxy's brand equity." The key task ahead is clear, as Credit Suisse's Aggarwal and Shah point out: "Turnaround at Ranbaxy requires successful execution of a complementary portfolio."